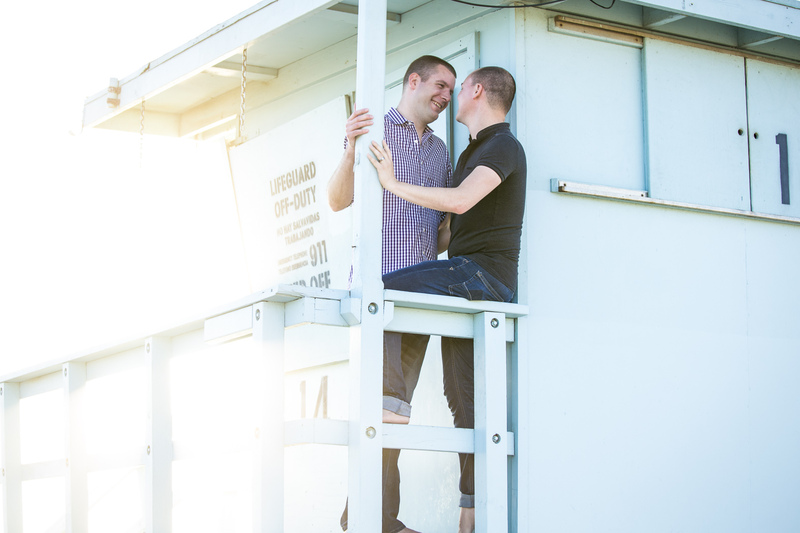 Tom popped the question in Santa Monica, the first place they ever vacationed together. And judging from the gorgeous engagement photos, he definitely made the right choice! After a leisurely stroll by the Santa Monica Pier, he led Tony to a cozy blanket setup complete with roses and champagne. After they shared a toast, Tom dropped to one knee and presented Tony with a striking engagement ring! 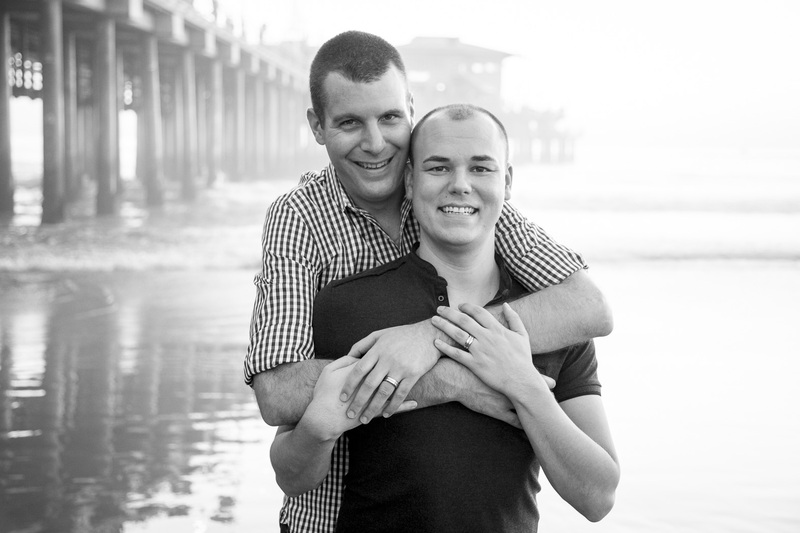 Plan and photograph your own Santa Monica marriage proposal! Contact us for a free consultation with one of our proposal experts. Submit your request for a callback! 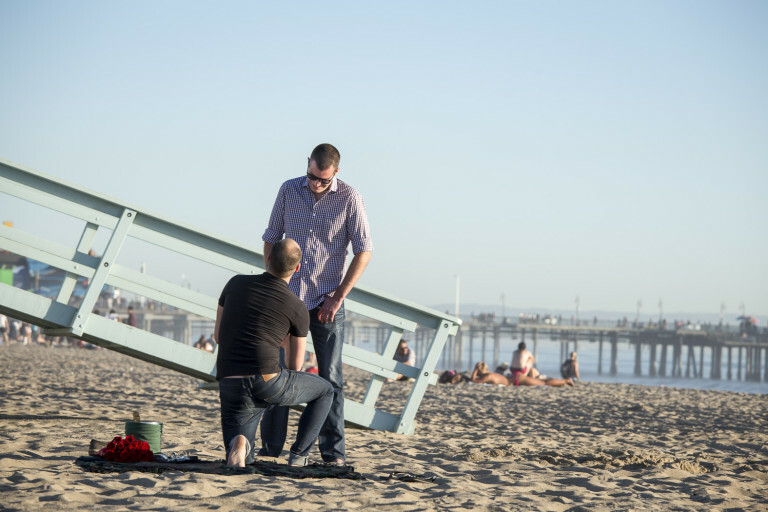 For the ultimate guide on how to plan and capture your perfect Los Angeles marriage proposal, check out our L.A. page! Or, continued to get inspired by love by browsing more beautiful LGBT proposal photography from engagements we’ve planned. Tom and Tony met on one crisp Chicago night in September of 2013. They had been chatting online for quite a while before Tom worked up enough courage to ask Tony out on a date. From the beginning, their romance was full of thoughtful gestures! Tom decided to surprise Tony by keeping the location of their first date a secret. He suggested they should meet up on the train platform when he actually had a romantic dinner planned nearby at Tony’s favorite Italian restaurant. During their post-dinner stroll along Lake Michigan, Tony joked that Tom owed him $2.25 for the train ride he never took. Conversation flowed easily between them, and they both instantly knew they shared a deep and genuine connection. Tom knew that Tony was The One on their first Christmas together, when Tony surprised him with a romantic evening downtown. Tony had flowers waiting, and told Tom he never wanted to spend another Christmas without him! Tony knew that Tom was the one when he took Tom home to meet his family for Easter. Tony loved how perfectly Tom fit in with his family, and realized that he wanted to share moments like these with Tom, forever. Two years after their first date, Tom popped the question! He carefully planned another romantic getaway to California and proposed on the sandy shores of the Pacific! 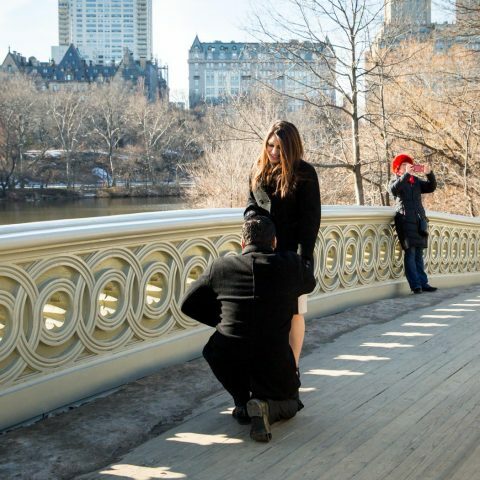 View the couple’s full proposal slideshow! If you’re ready to plan your own L.A. marriage proposal, contact us to run through your ideas with a member of our proposal planning team! And if you’re looking for your perfect surprise engagement photographer outside of Los Angeles, we’ve got you covered. We offer proposal planning and surprise engagement photography in every major city, nationwide!